HARRISON, New York (WABC) -- A tow truck driver was killed in a hit-and-run in Harrison Thursday morning. 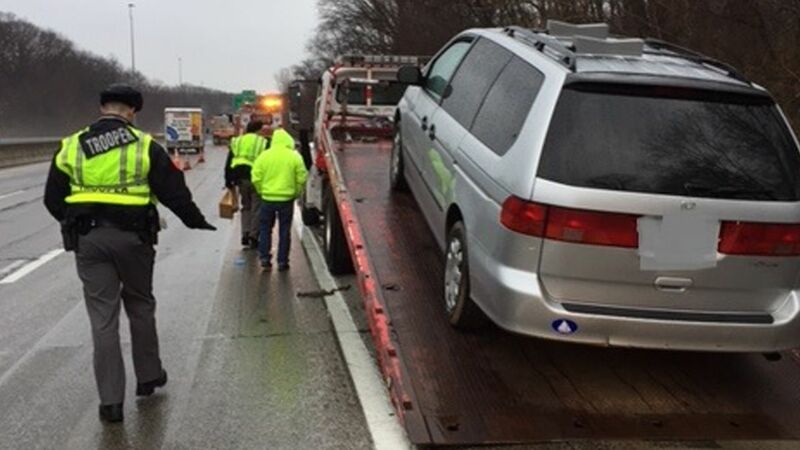 Around 7 a.m., 32-year-old Salvatore Brescia of Yonkers was outside his flatbed truck on northbound Interstate 95 near Exit 18B, hooking up a disabled vehicle. He was hit by a passing car, then taken to Greenwich Hospital where he was later pronounced dead around 8 a.m.
Brescia's family told Eyewitness News that he had just bought a house with his fiancee, and the two were set to get married in July. There is no description of the vehicle and there is no surveillance camera near the crash. Officials closed a northbound lane for the accident investigation. All lanes had reopened by noon. New York State Crime Stoppers are offering a reward of up to $2,500 for information leading to the arrest and conviction of the person(s) responsible for Brescia's death. To be eligible from the Crime Stoppers reward, anyone with information is asked to call the NYS Crime Stoppers hotline at 1-866-313-TIPS. Tipsters can also visit https://nyscrimestoppers.org/ and leave a confidential tip.